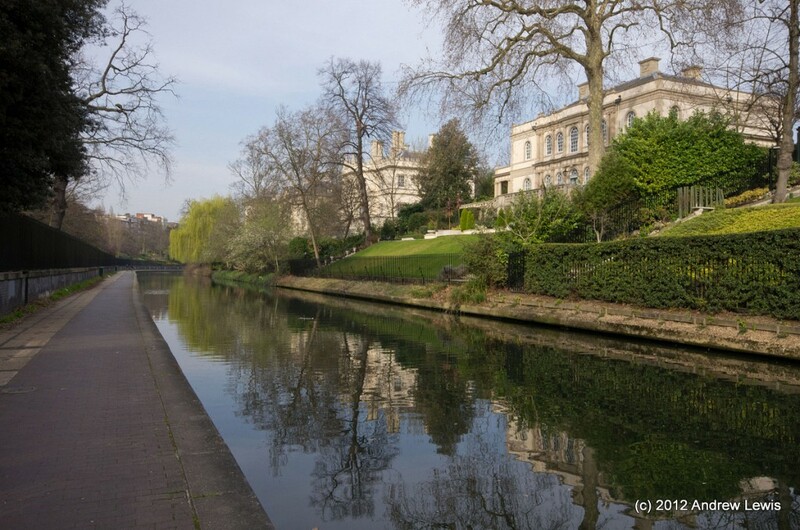 Another sunny day, another stretch of London’s canals. 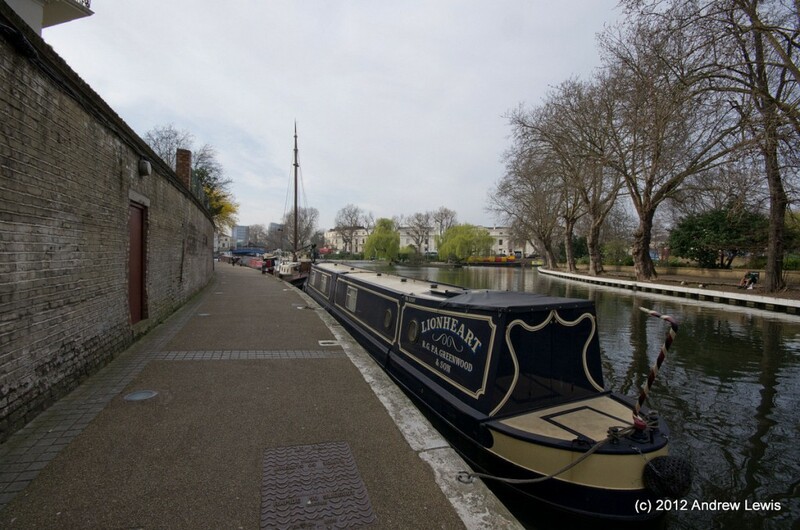 This time, the walk is along part of Regent’s Canal from its start at Little Venice, through the long bend around Regent’s Park, through Camden, to the St Pancras locks, the re-developments north of Kings Cross, to the Islington tunnel. 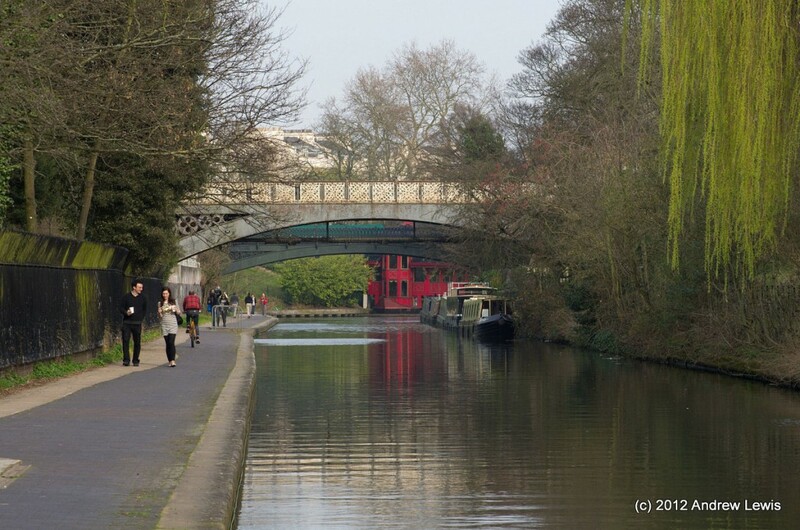 The weather was reasonably sunny with little wind – an ideal day for a canal walk. This walk strictly speaking does not actually start on the Regent’s Canal – it starts in Paddington Basin which is actually part of the former Grand Junction Canal. Nevertheless, it makes a nice starting point for this 7.5 mile walk. 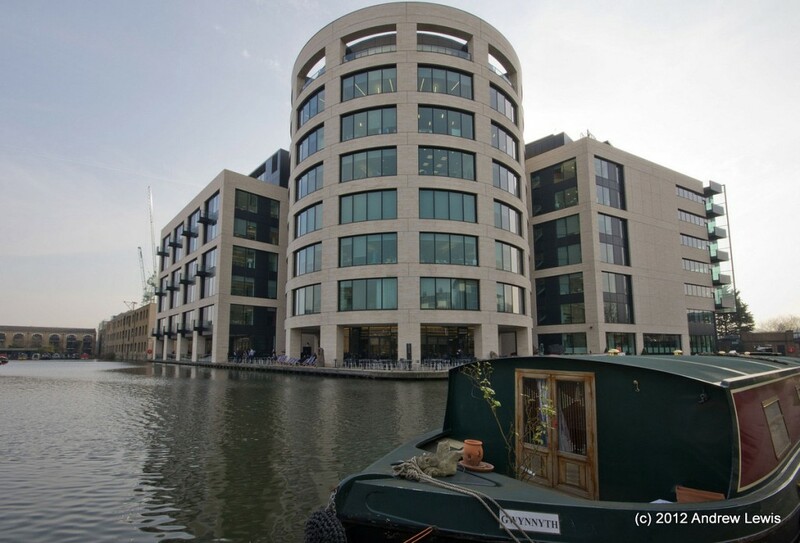 The basin is surrounded by new buildings including a Hilton hotel. 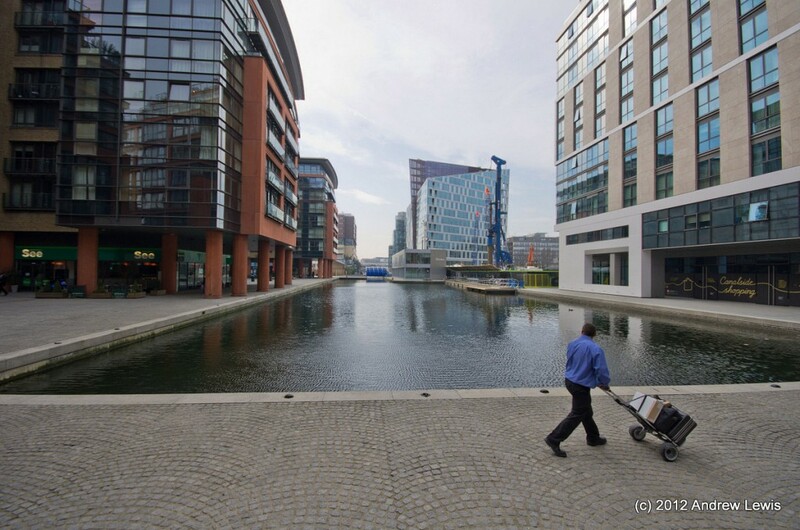 The towpath is not a path as such, more of a paved walkway. 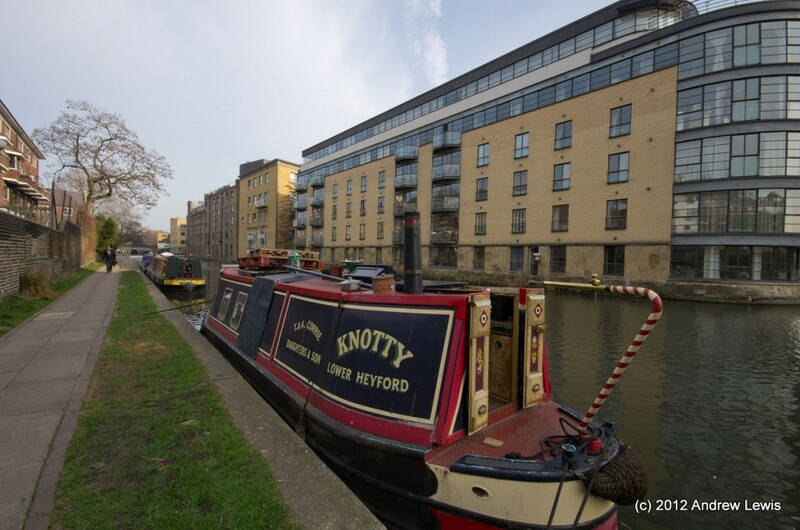 Only a few steps along from the modern architecture of the basin, one has to cross though a tubular bridge to continue walking on the northern towpath, passing one or two moored boats. 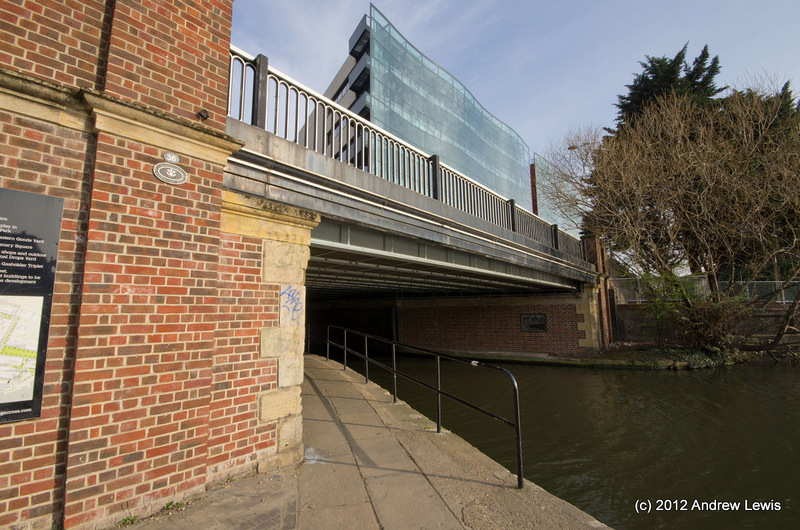 The canal continues rightwards around a right angle bend, passing under a modern footbridge and metal structure. 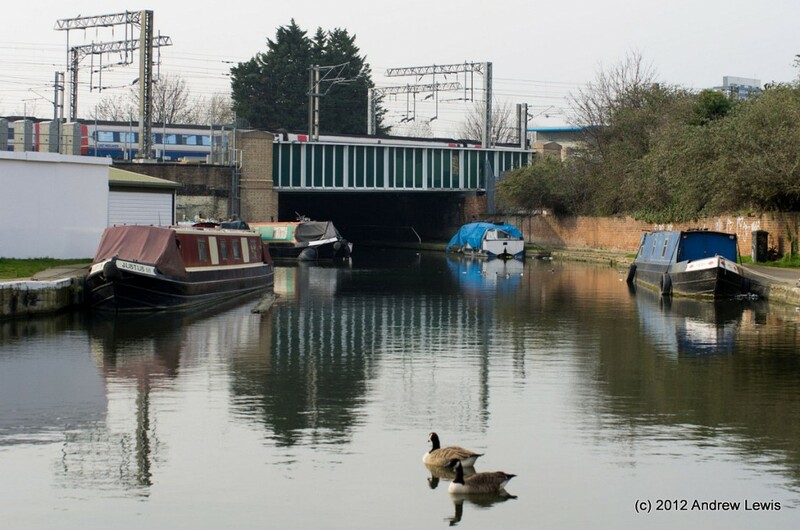 A series of bridges come into view, carrying a mixture of roads including the busy A40. Redevelopment of Paddington station for Cross Rail is evident. 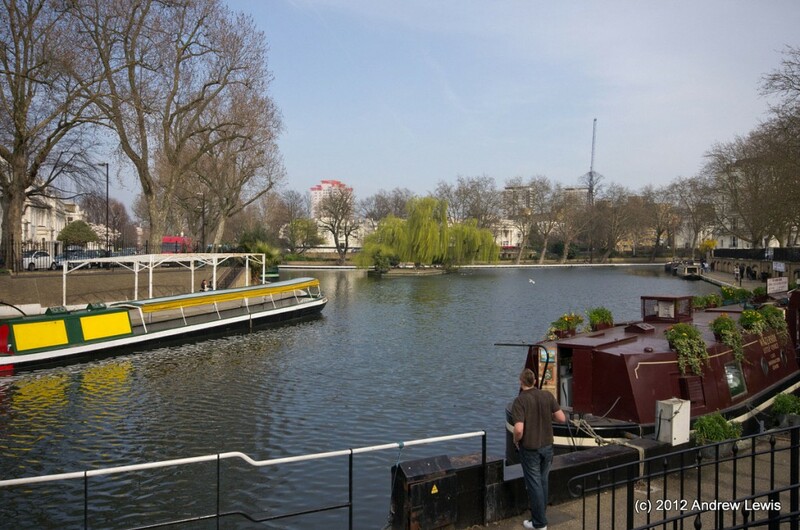 Rounding a slight bend to the left, the junction known as Little Venice comes into view. 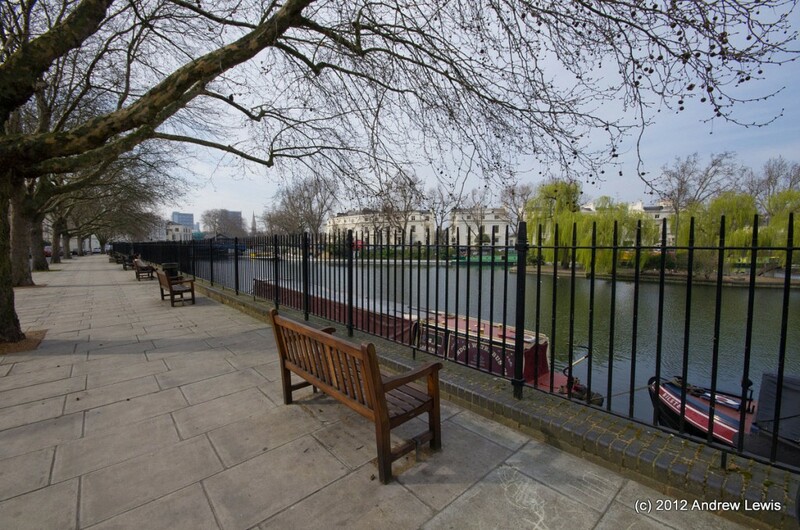 Although relatively deserted today, it’s easy to imagine these seats on the embankment above the canal being highly popular on a warm weekend in the summer. 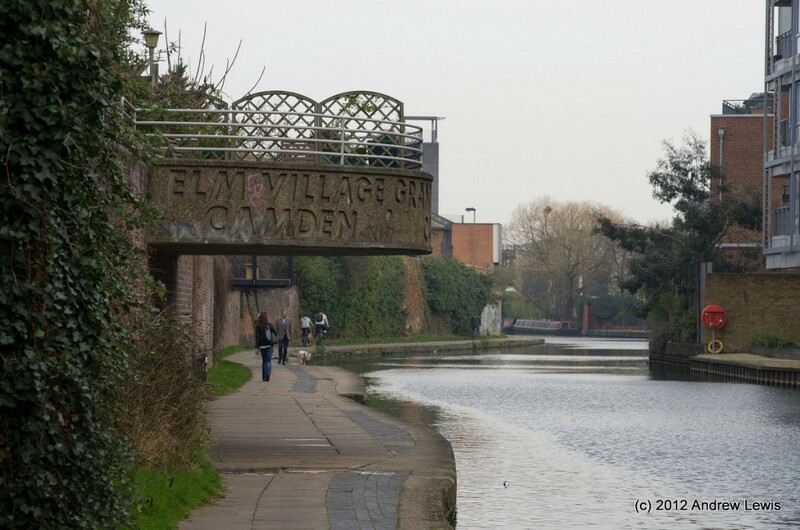 The canal is quite wide here despite an island near to the junction of the two canals. The walk progresses to the northern end of Little Venice in order to cross over bridge 3C before dipping back down to the towpath to head north east, along Regent’s Canal. 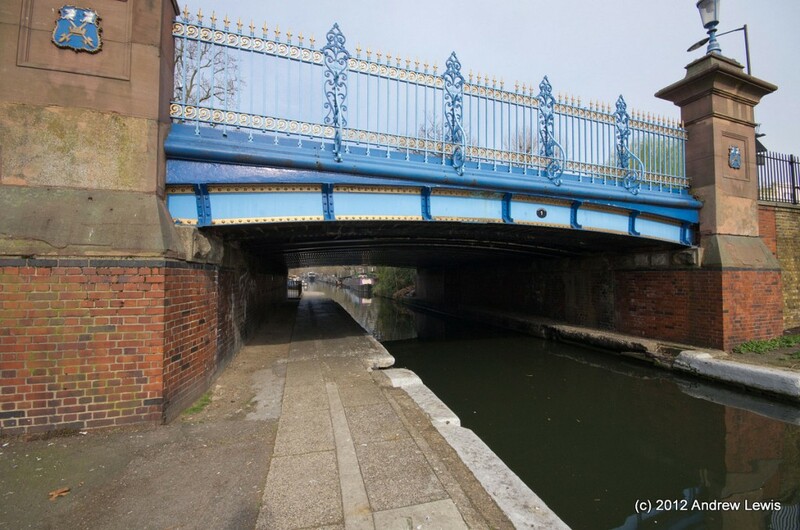 The first bridge on Regent’s Canal is the magnificent blue Warwick Avenue bridge. 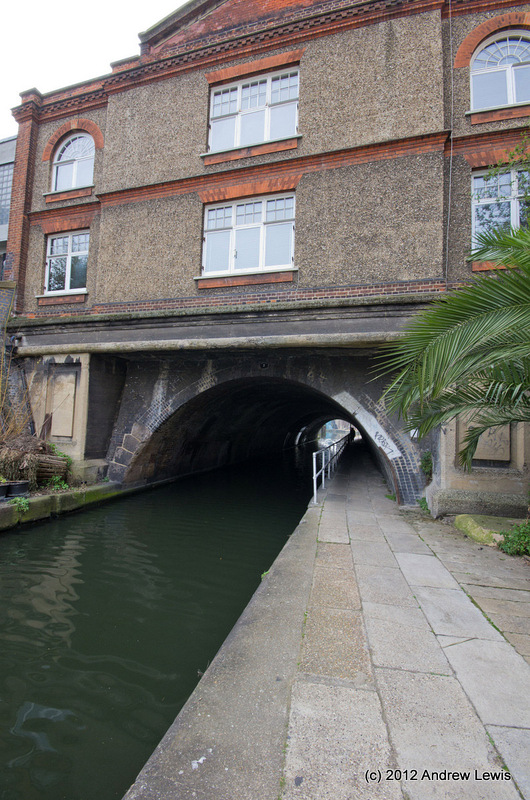 Already visible under the bridge is the first tunnel on this walk – the Maida Hill tunnel, which is 272 yards long. A small cafe/restaurant sits atop the western entrance to the tunnel. 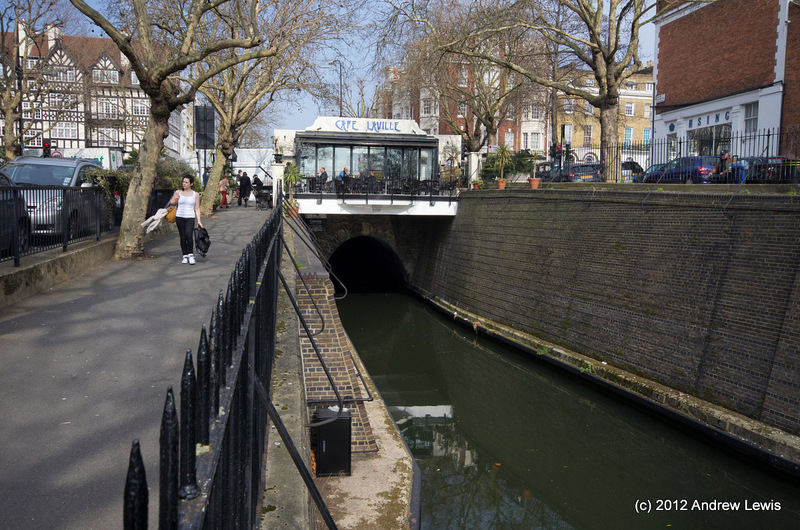 The towpath ends here and, in any case, the towpath after the Warwick Avenue Bridge becomes part of the private moorings, so the walk has to continue on the side of the road, leading up to the tunnel. 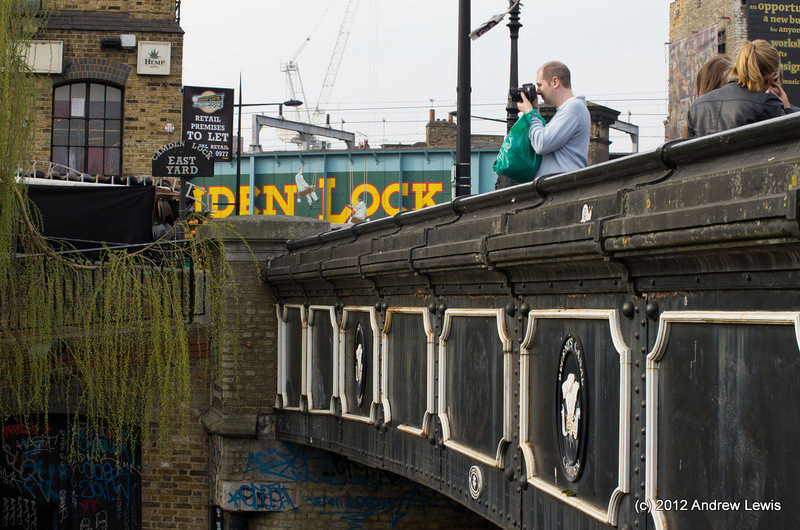 Crossing over the road one arrives at a railing overlooking a steep descent to the towpath. Alternatively, for a better view, remain at high level and continue to the Lisson Grove Bridge. 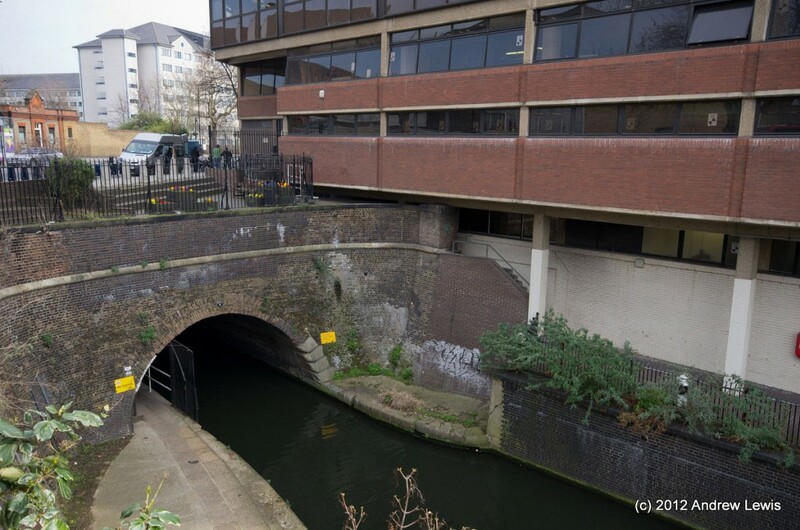 The section between the Maida tunnel and Lisson Grove bridge looks like a nice sun trap for the summer months, though there is not really much to see or anywhere to sit. Refurbishment of the electricity sub-station near to the canal sometimes requires closure of the towpath entrance near here, fortunately today both towpaths were open, and I selected the northern one and descended from the bridge to the canal. The northern towpath is home to another series of moorings, but this time the area is not private and can be walked quite easily. Another series of bridges come into view around the slight bend, carrying rail and road. 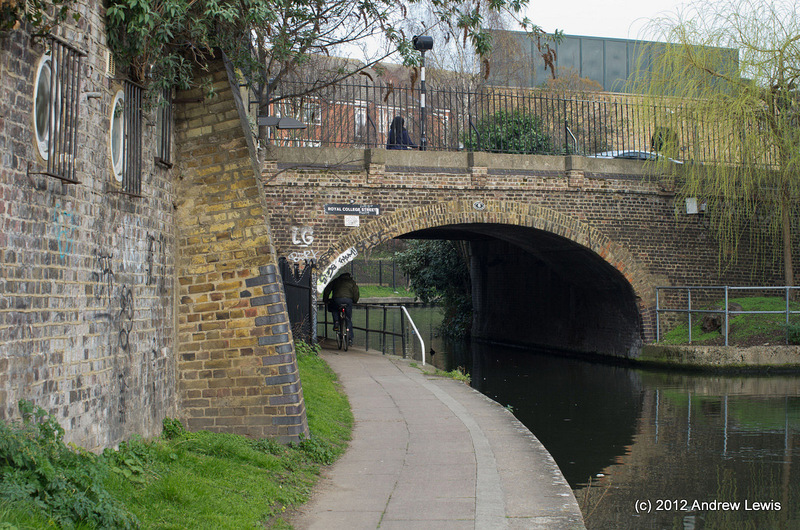 After passing under the last of these (the Park Road Bridge) the picturesque long curve around Regent’s Park comes into view. 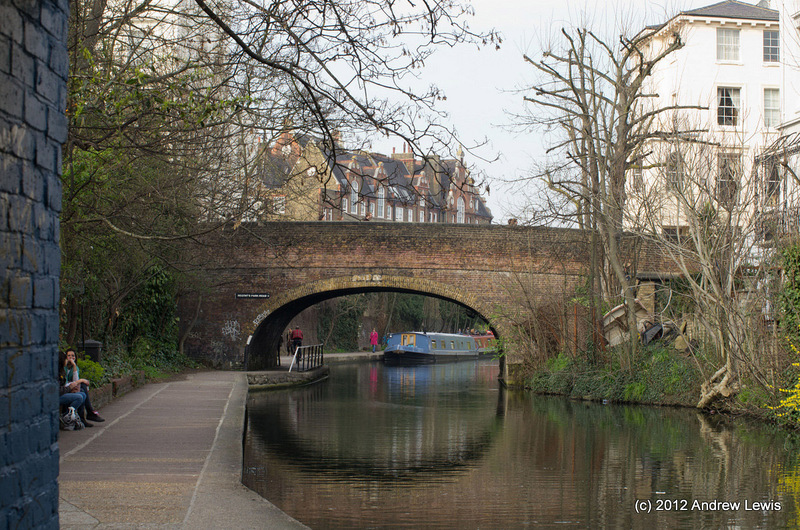 The towpath here is a mixture of brick and concrete and is quite wide. 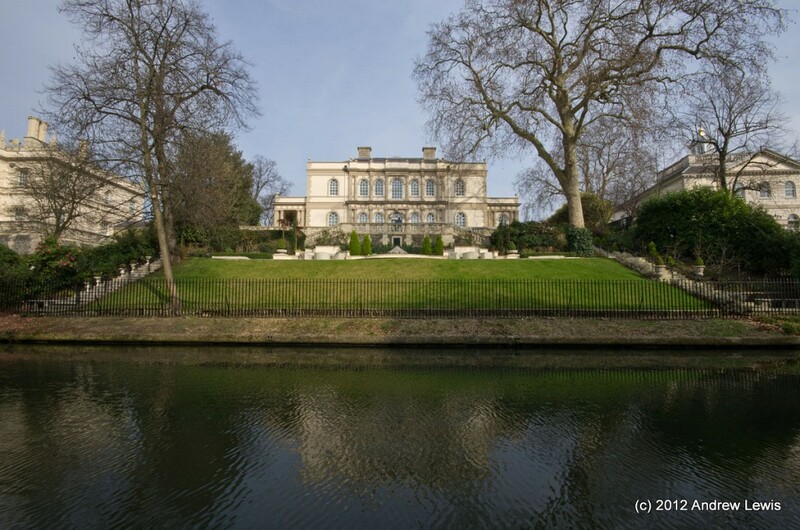 Being in a cutting, the air was quite still, allowing for some excellent reflections of the fine houses standing atop the south-eastern embankment. 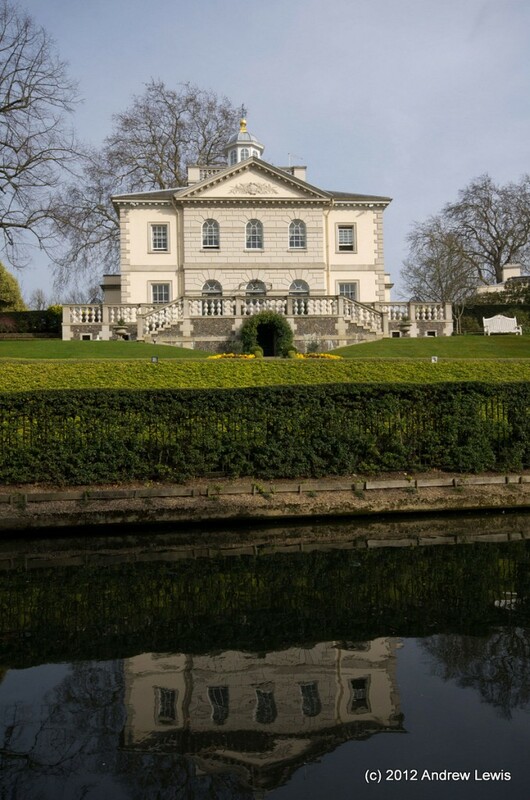 These houses are all built in beautiful white stone and have immaculately prepared formal gardens leading down to the canal. A little further along, a slight breeze disturbed the water, rippling the reflection. 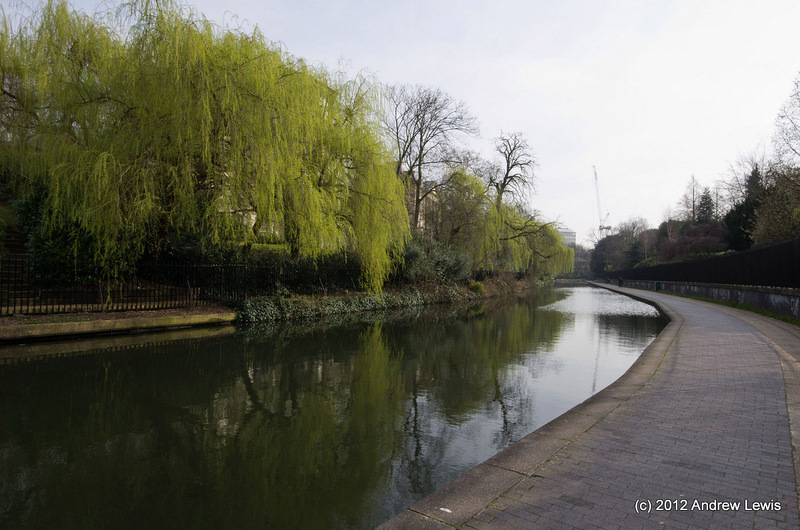 A selection of old trees overhangs the canal, including some willows. 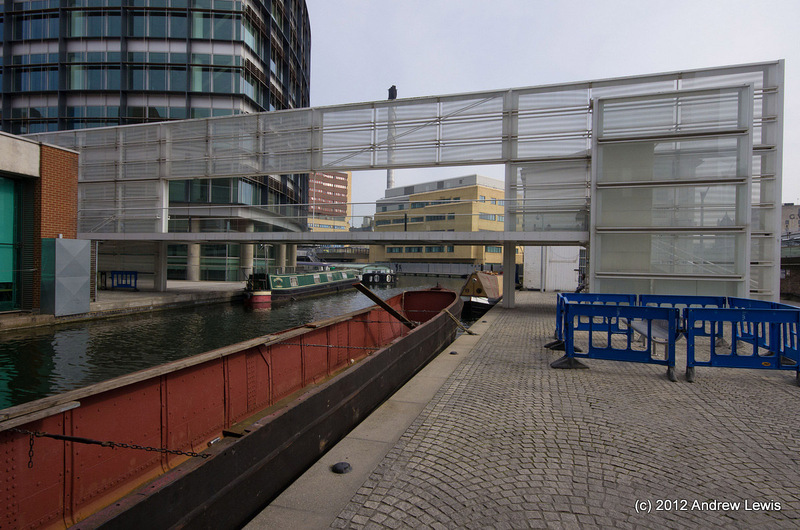 The bridges in this section are quite widely spaced, unlike the Camden section further ahead. The bridges are of a variety of styles and seem to be maintained very well. Ongoing maintenance was visible further along as signs warned about possible diversions around Macclesfield bridge during renovation work. 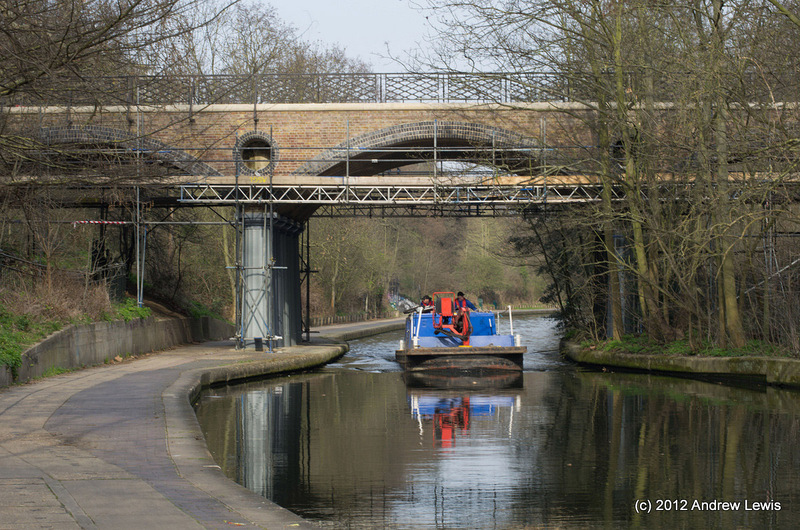 However, it seemed that the diversions had been cleared and the towpath at the bridge was still open. Some of the stone/brick work of the bridge had been cleaned and it looked some the mortar work had been re-pointed. No mortar work to worry about on bridge 10. 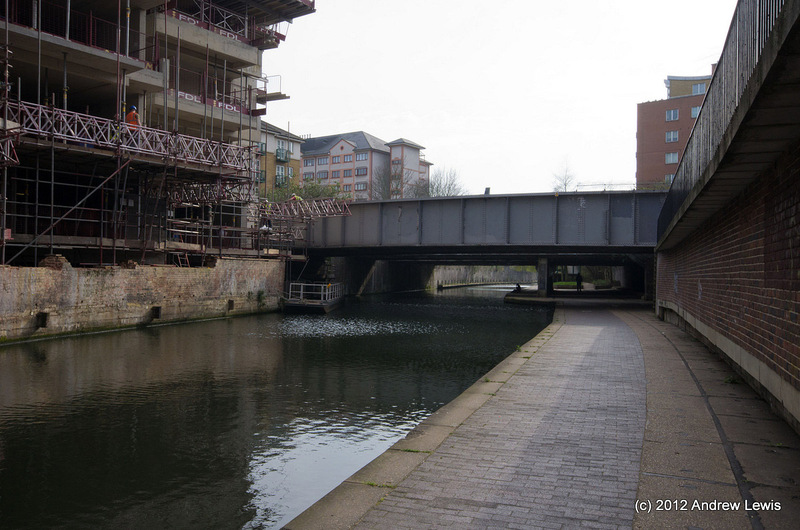 As the towpath approaches the end of this section, the bridges increase in frequency. 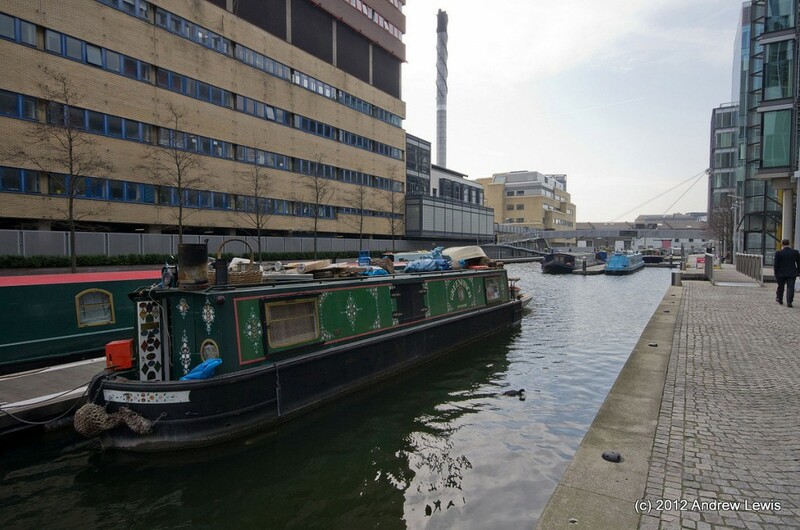 Finally, the Cumberland Basin comes into view with a large red-painted building sitting to the north, as the canal takes a 90 degree bend left to head northwards. 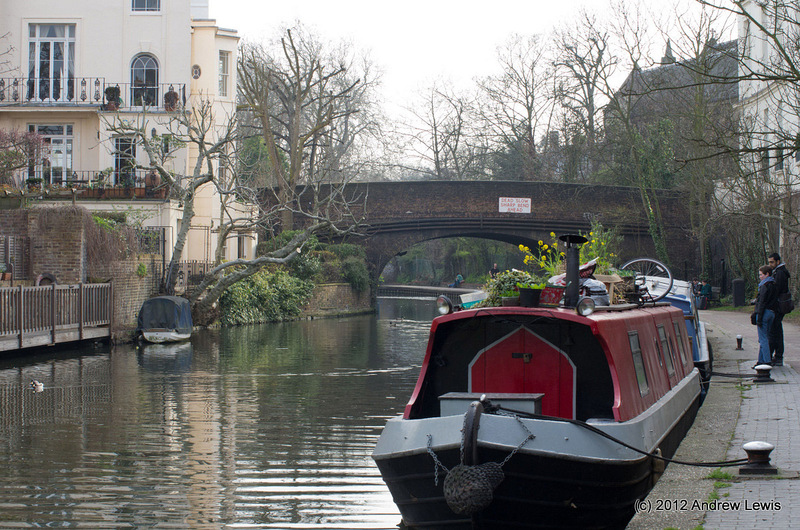 After the classical surroundings of Regent’s Park, the canal now becomes more urban, passing along the back of various houses. Looking back, a sign warns boaters of the impending sharp turn – I wonder how many boats failed to make the turn in previous times ! A pirate castle comes into view ! 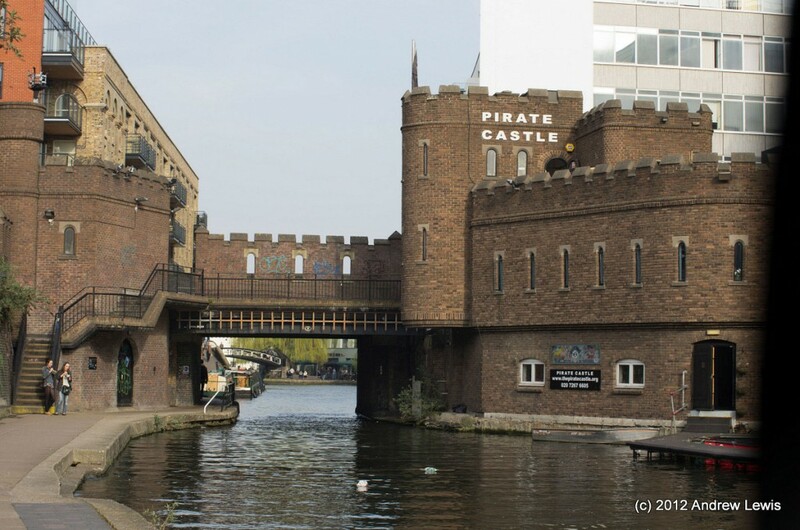 Bizarrely, under a few more bridges can be glimpsed what appears to be a pirate castle. 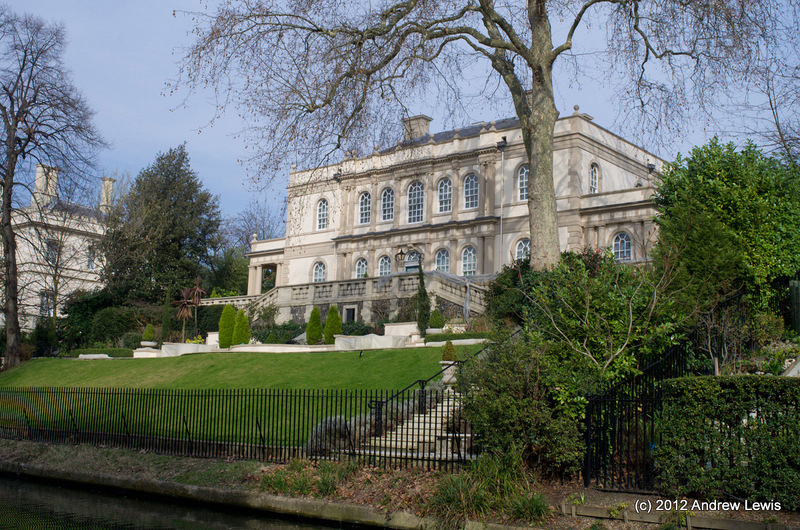 All is not what it seems – the castle is actually a youth activities centre. 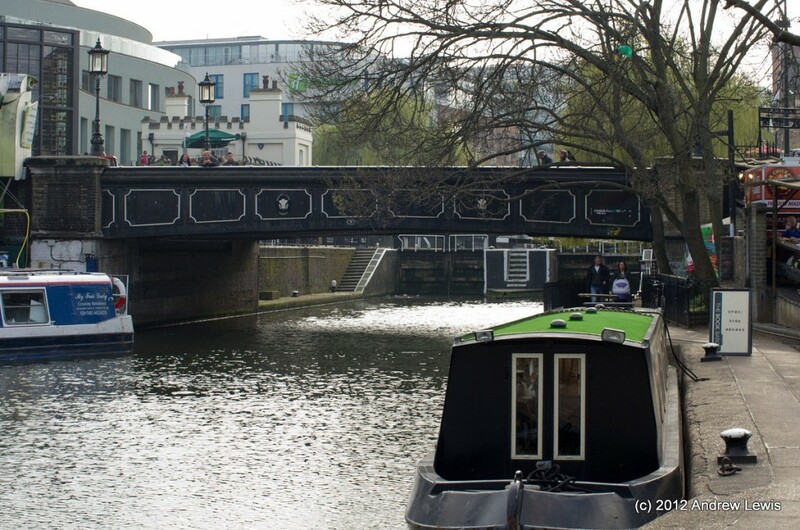 Underneath the castle bridge we glimpse the next bridge and know that we are aproaching Camden lock. A series of bridges, locks and markets surround the canal. 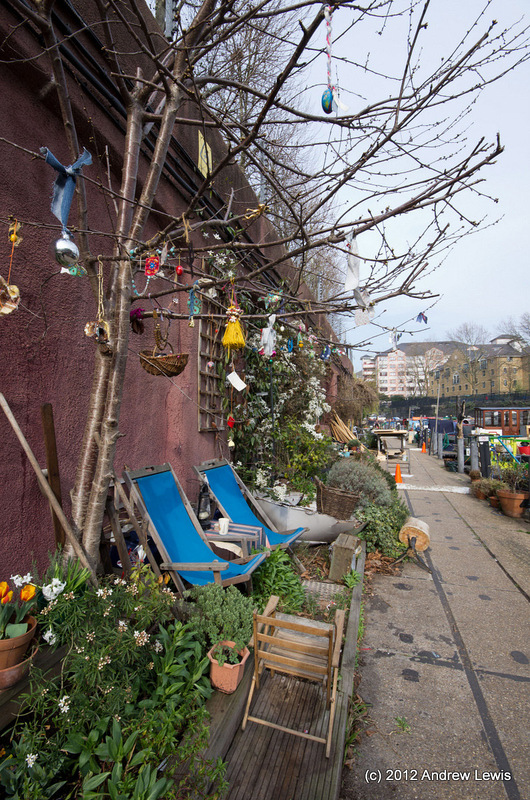 Clearly this is a picturesque and popular area, with many stalls selling a range of foods. 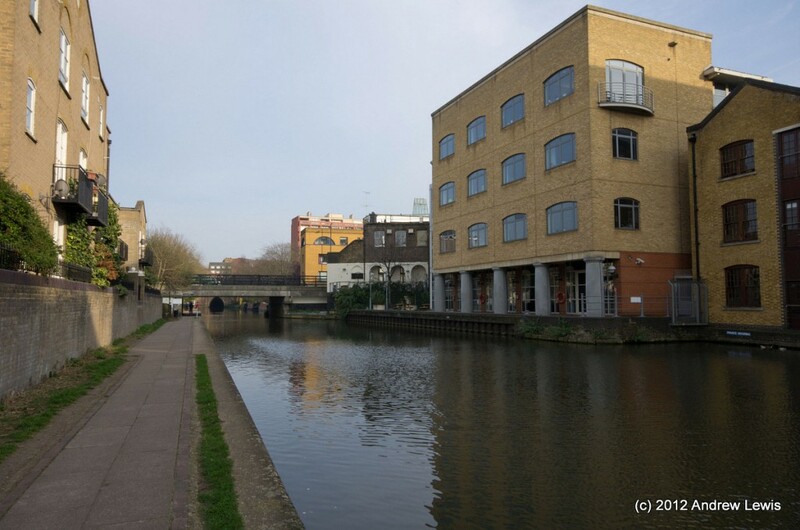 Despite being a bit peckish by now, I resisted the urge to stop for food, as the walk was taking longer than I had planned and I wanted to get to the end before rush-hour started in earnest. 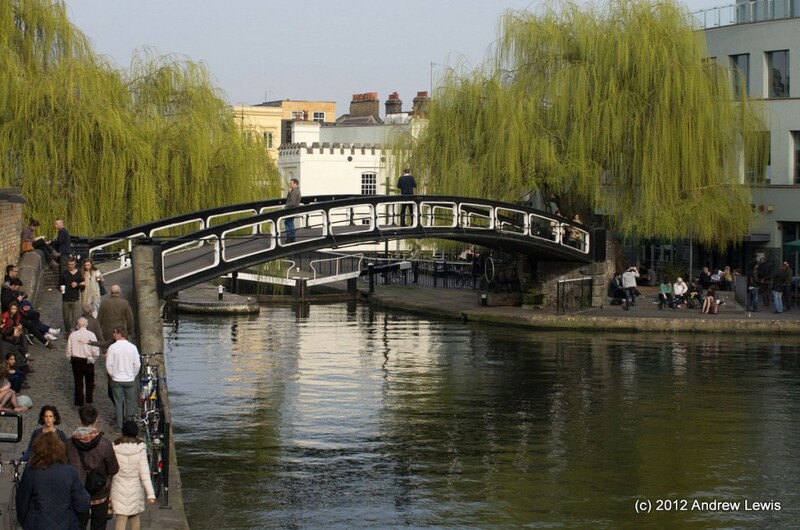 After Camden, the canal becomes very twisty-turny with a succession of bridges coming into view in close proximity. 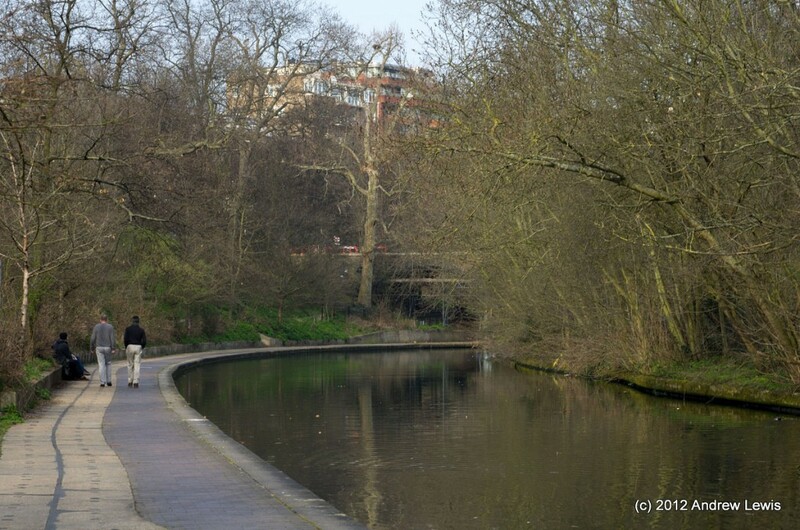 The towpath was also very busy with cyclists using it as a convenient cut-through, avoiding the traffic on the roads. 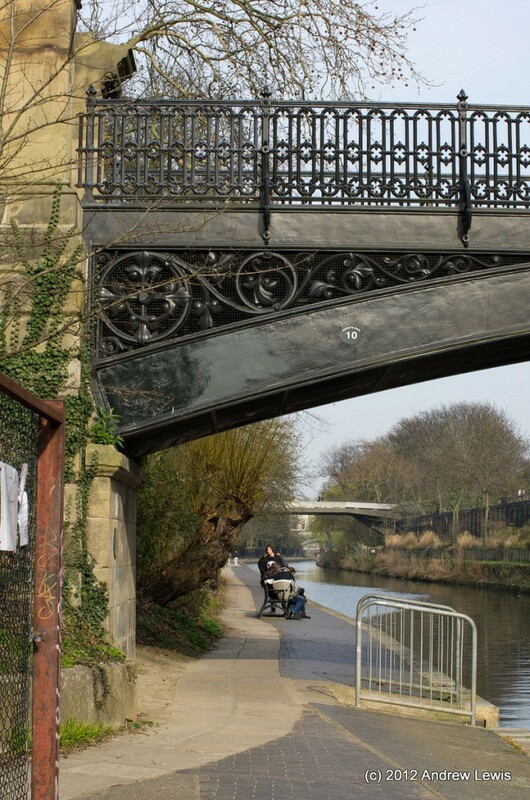 A little further along and a series of overhanging promenades/seating decks fly out over the towpath. 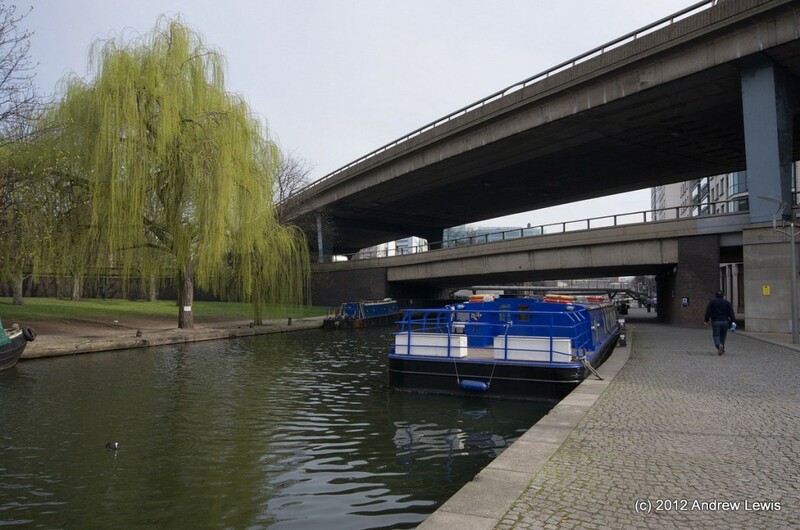 The canal now straightens for a while, before passing under a set of three rail bridges which hold all the lines coming out of St Pancras and King’s Cross stations, including the Eurostar lines heading off to the Channel Tunnel. Major railway bridge taking all the trains coming out of St Pancras station. 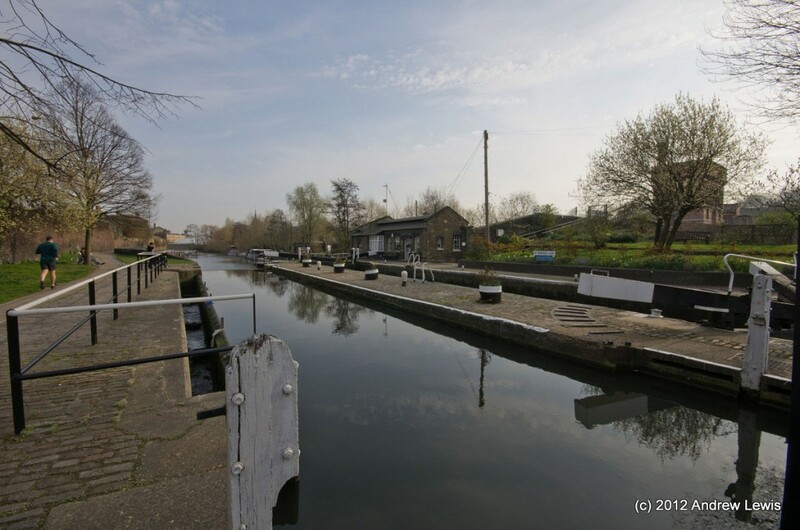 A small marina and workshop sit beside the canal, with moorings. 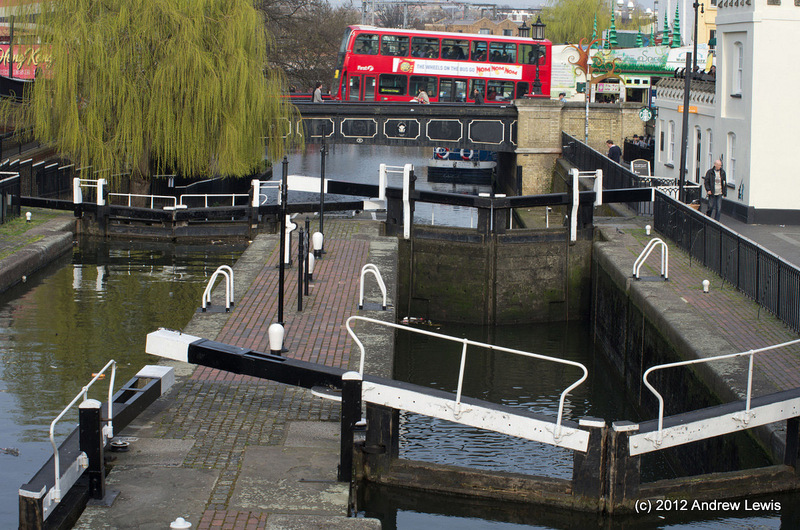 The canal enters St Pancras lock. 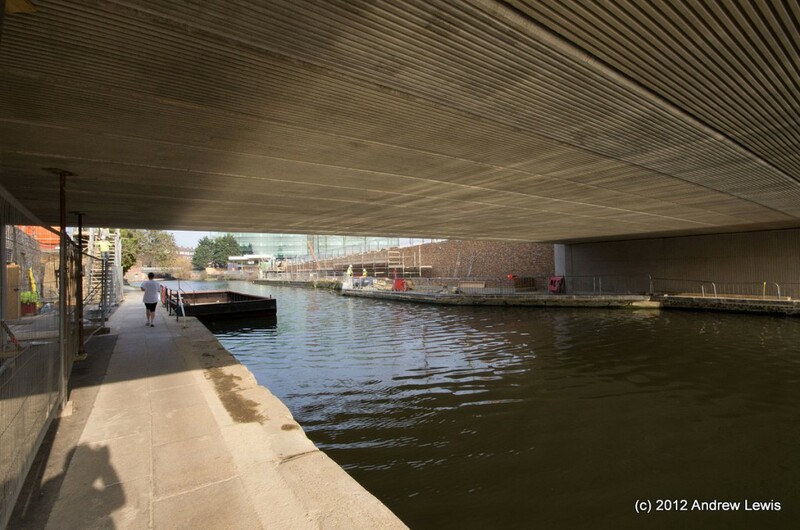 South east of the lock, the towpath was closed for refurbishment and a series of floating pontoons took pedestrians out over the canal before returning them to the towpath at the right angle bend, just north of King’s Cross. 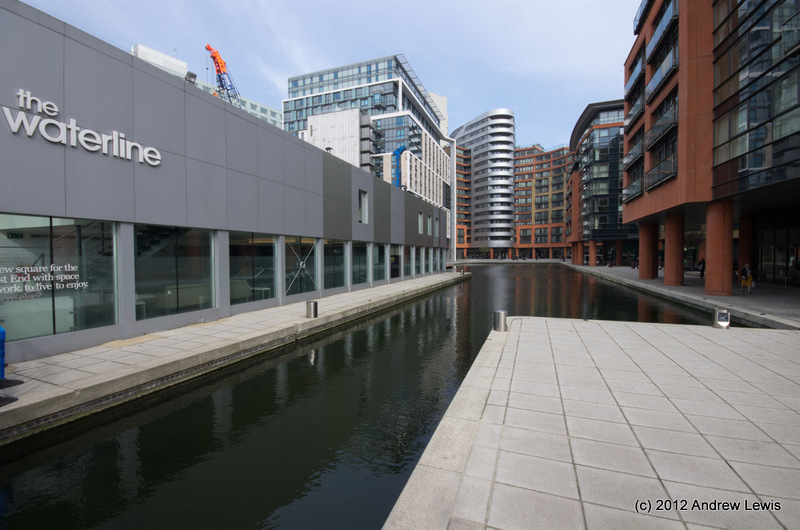 The area to the north of King’s Cross is being extensively re-developed and a number of new public spaces and bridges are being completed. 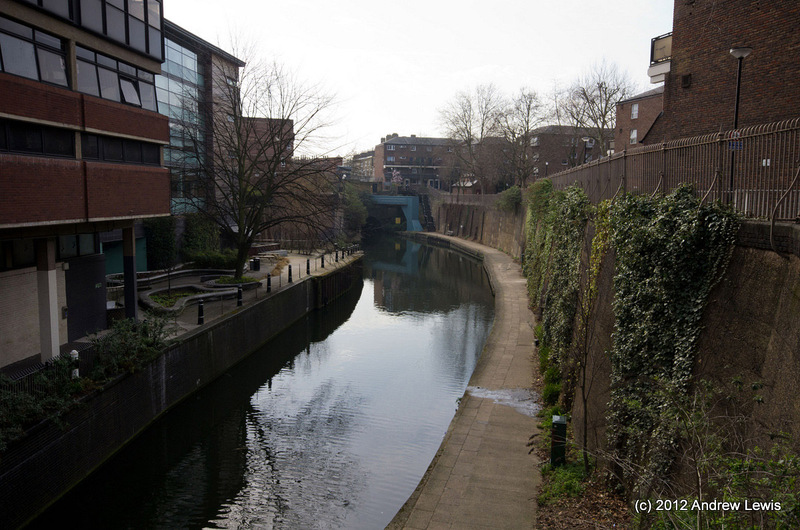 Another slight bend to the right and the canal passes under the older Maiden Lane Bridge and enters the final straight section leading to the Islington tunnel. There is a basin to the south of the canal – Battlebridge Basin, with some new office buildings clad in nicely finished sandstone. 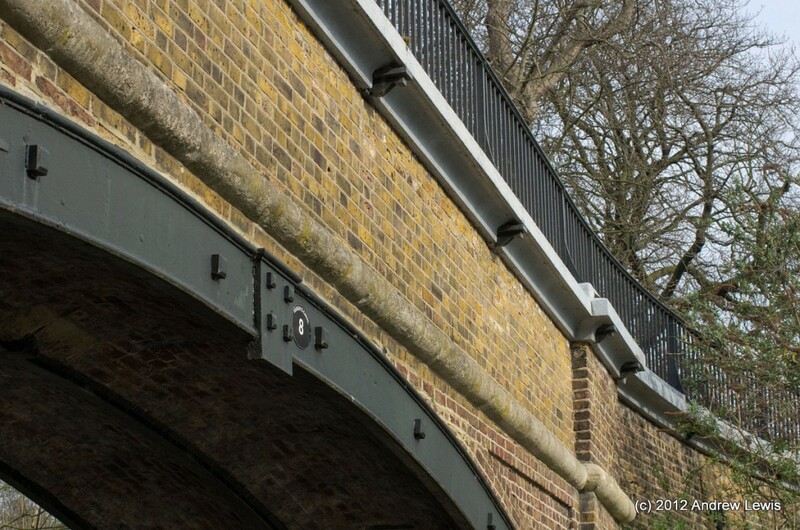 There is only one bridge remaining in this walk – Thornhill Bridge. After the final bridge, there is a clear sight of the tunnel. 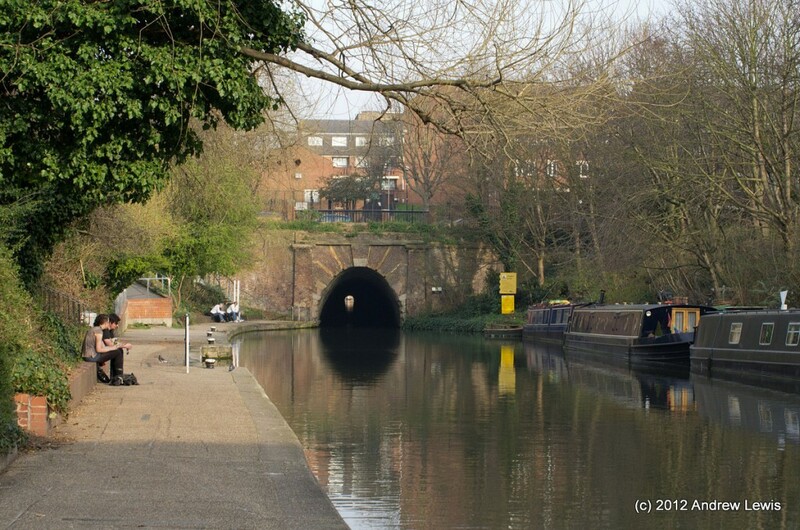 The towpath gives a clear view straight into the tunnel, before it curves slightly to the side and direct view down the tunnel is no longer possible. At the tunnel, there are several options for ascending the embankment to the road running atop the bridge. I paused to check the GPS, wondering why the walk had taken longer than I had planned. 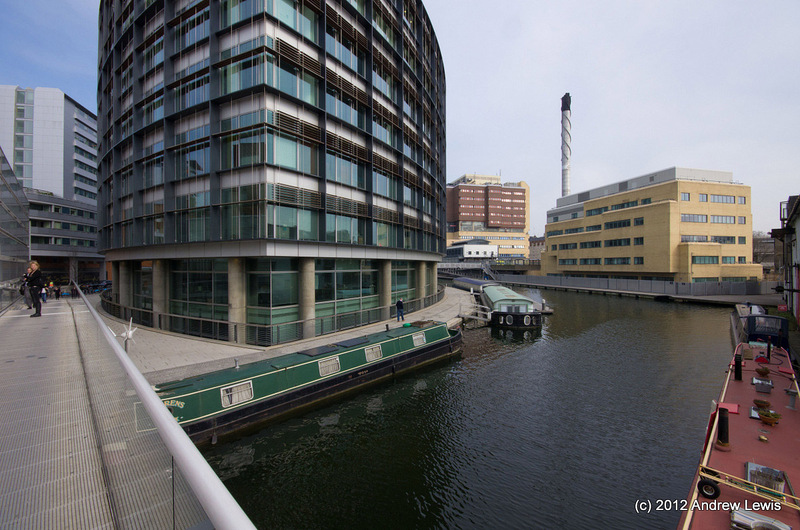 The simple answer was that the twisty route was longer than I had measured on the map – the total walk from Paddington Basin was 7.5 miles. 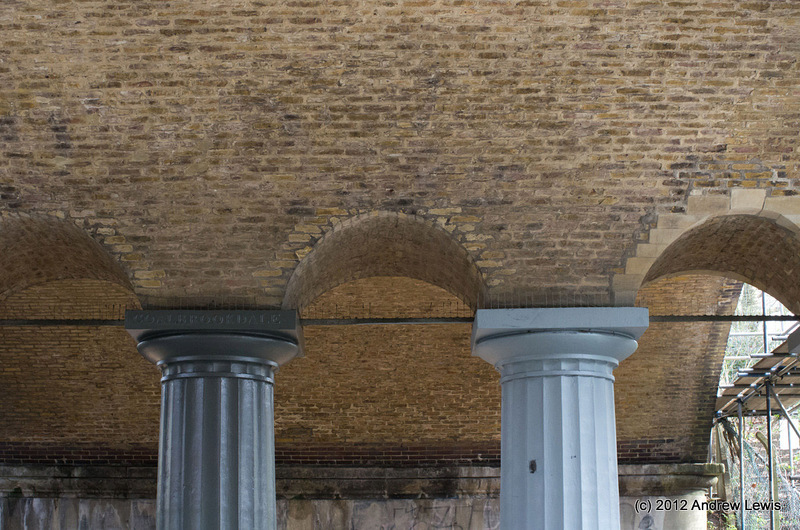 Off to King’s Cross/St Pancras underground station, to head back via Waterloo before the rush hour started.